Information Security Policies Made Easy is the “gold standard” information security policy template library, with over 1500 pre-written information security policies covering 200+ security topics. Based on the 25 year consulting experience of Charles Cresson Wood, CISSP, CISA, it is the most widely used policy library in the world, with 10,000+ customers in 60 countries. Take the work out of creating, writing, and implementing security policies. 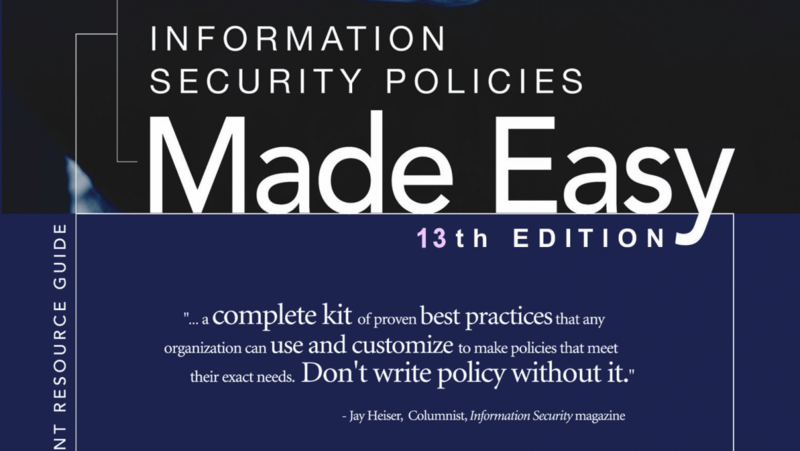 Information Security Policies Made Easy has everything you need to build a robust security policy program, delivered by electronic download. Complete coverage of essential security topics including: Access Control Policy, Network Security Policy, Personnel Security, Information Classification, Physical Security, Acceptable Use of Assets, and many more. 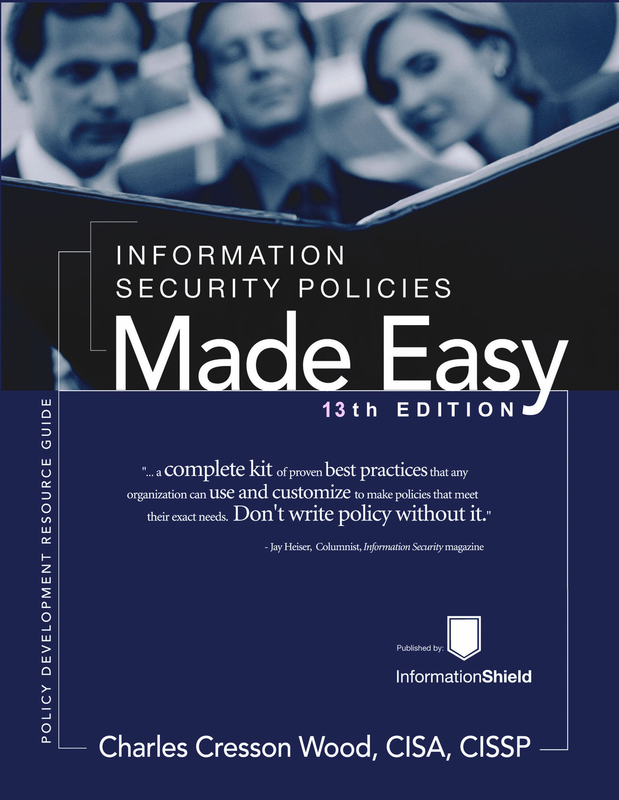 Information Security Policies Made Easy, Version 13 is available for electronic download. Each product contains a print-ready PDF, MS-Word templates and an organization-wide license to republish the materials. $795.00. Click Here to Purchase!